So Father Christmas was rather good to me this year. 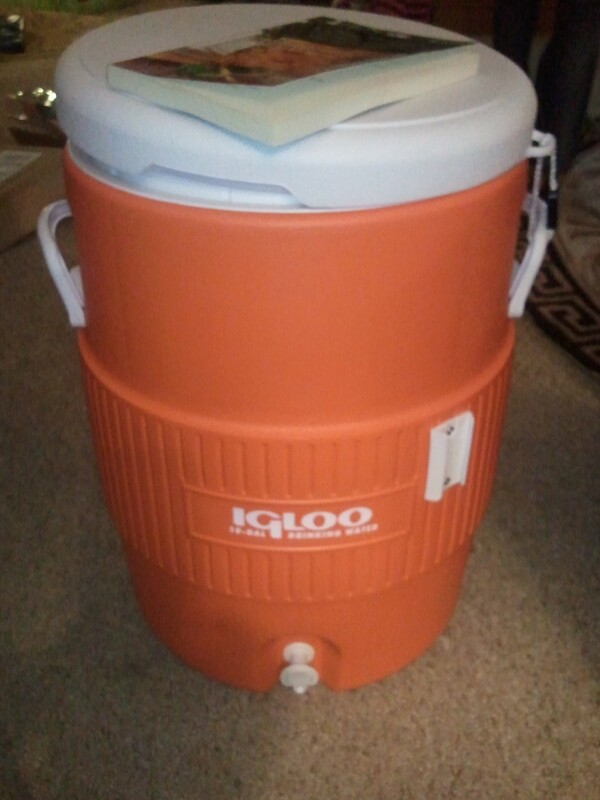 I was gifted with a 10 gallon igloo cooler which has been retrofitted from my old 5 gallon setup. 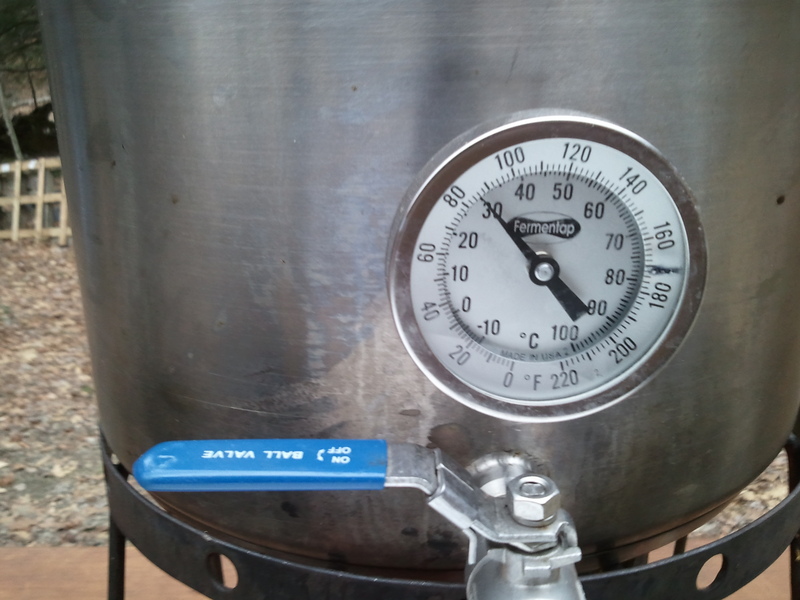 I knew that because of the increased size of the grain it could hold, that the temps I was using for strike water (the initial heated water poured into the mash tun) were going to change. 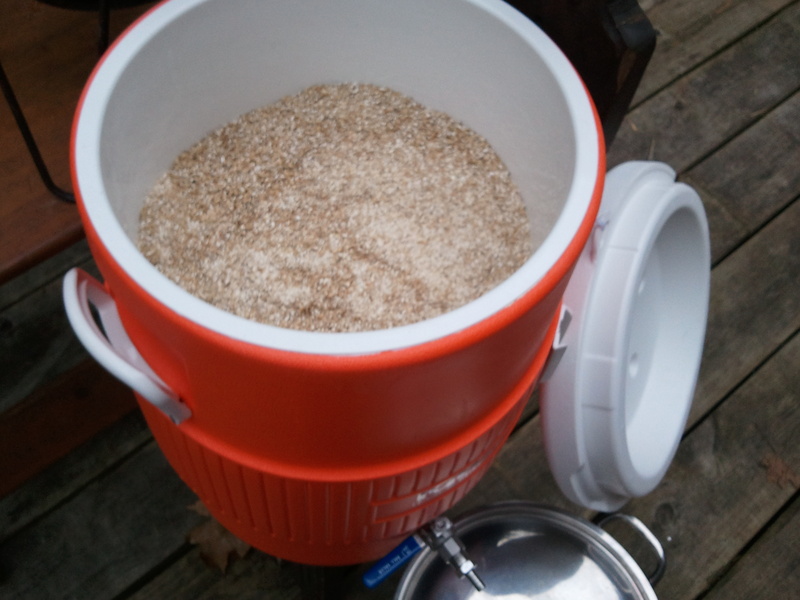 I wanted to brew something that would push it to it’s maximum right from the beginning. 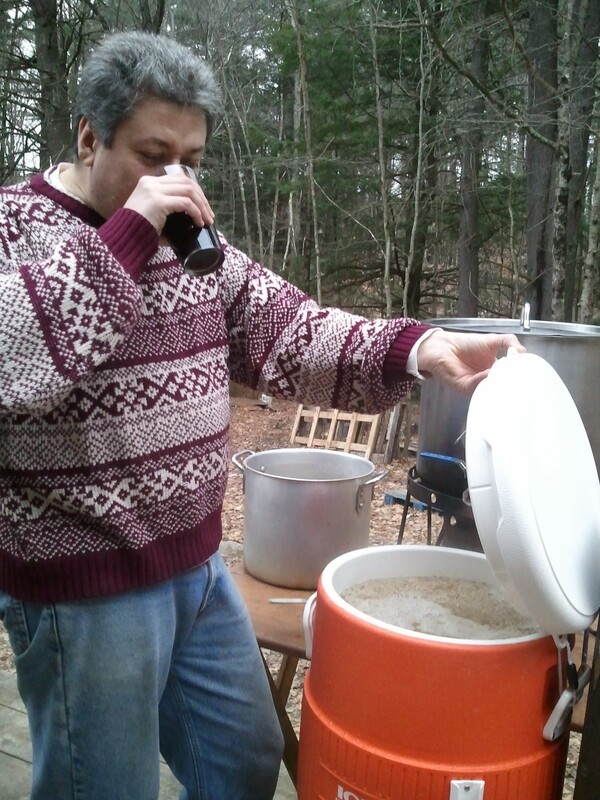 If I was to do just a pale ale or a stout, we probably wouldn’t get to see the variations in temp quite so drastically than if we did a big beer so I decided to do a medieval style beer: Barleywine! Wait Wait wait! Back it up! Barleywine isn’t medieval. 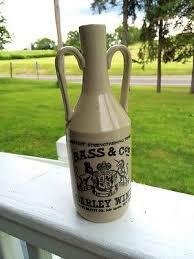 It was brewed in England in 1870 and marketed under the Bass brand name. Au Contrare~ It’s mentioned as a beverage enjoyed by the Greeks (1) although you would be correct in the fact that the barleywine the English drank would have had hops in it. 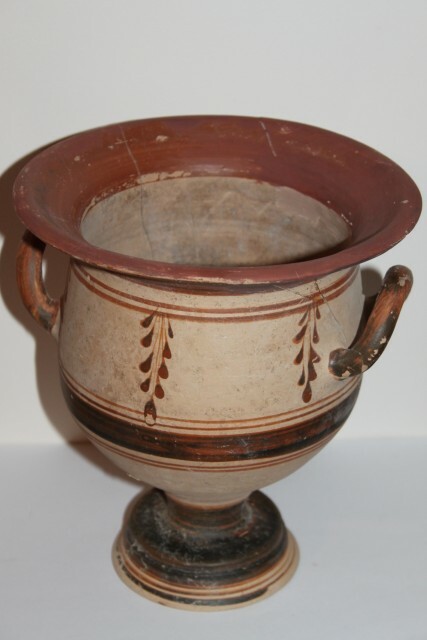 No documentation exists concerning the use of hops in beer during the Greek times but hop use was done as early as the 9th Century and predominately recognized as common use in the 15th Century. A canteen was found (recently) containing with beer and trace amounts of lupulin (the bittering and preservative in hops). More on that later. 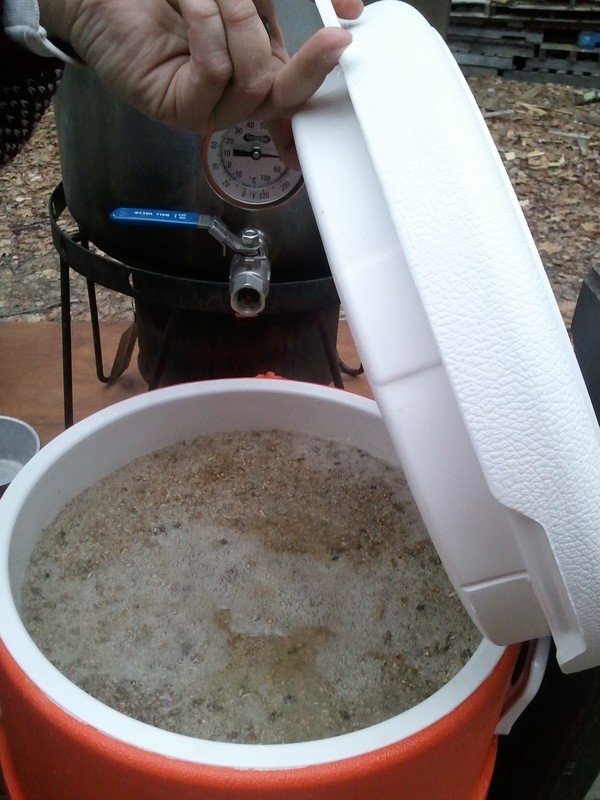 For today however, we’re testing the new tun. And I’m wanting to age the batch. 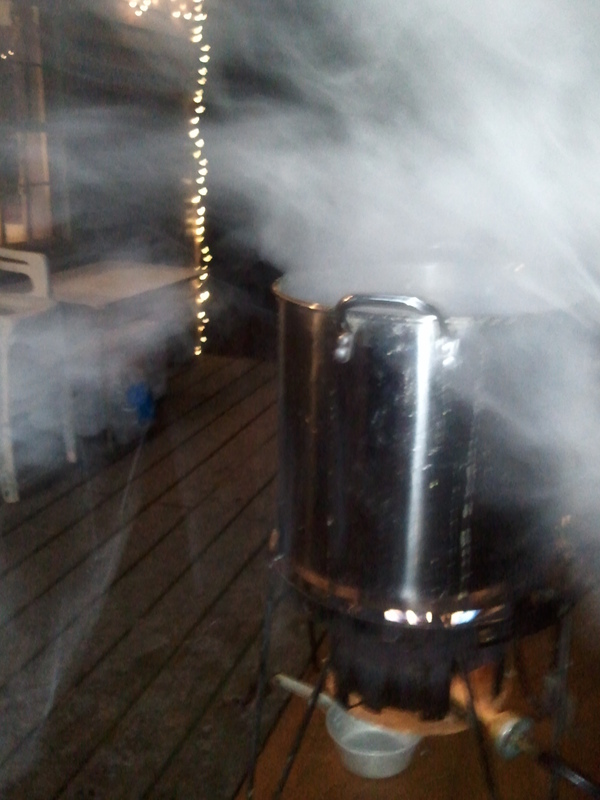 So hops are needed. 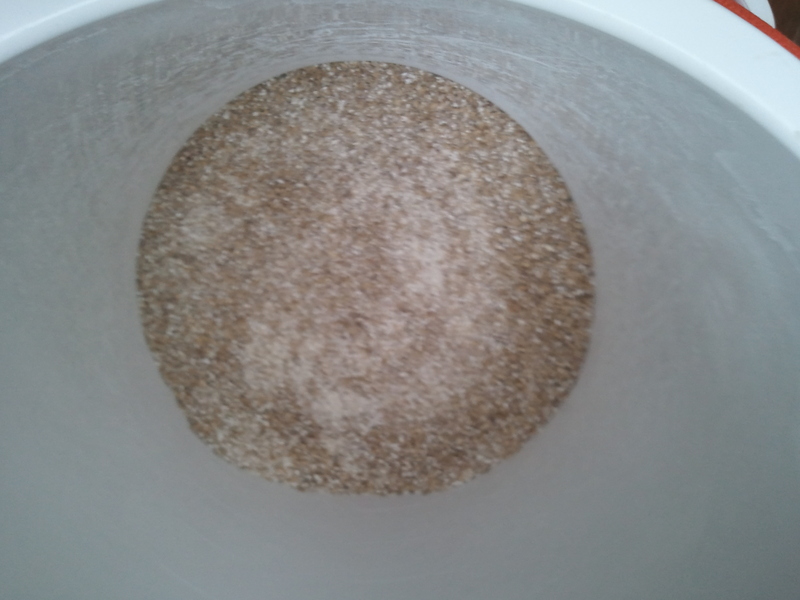 Marris Otter malt is more of a European style pale malt and I’ve had success with it making barleywine before. 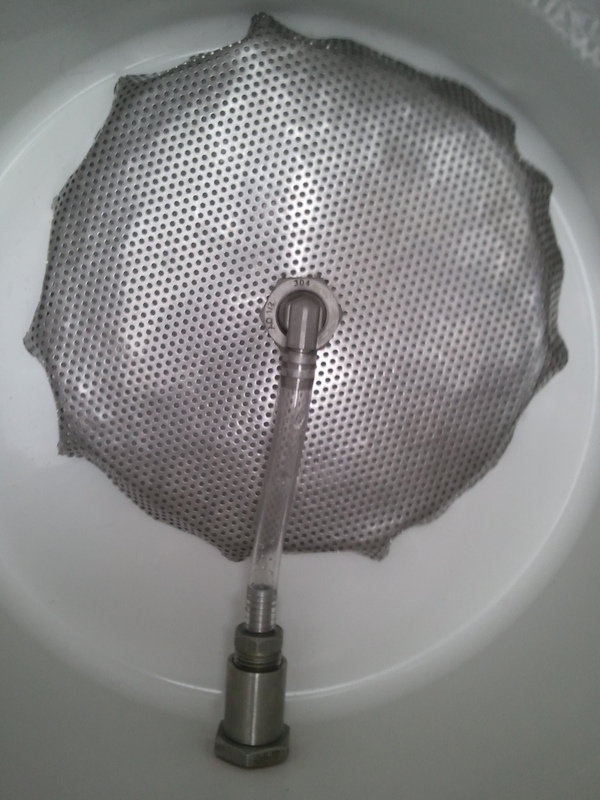 So the first thing we did was relocate the false bottom from the old 5 gallon mash tun to the new 10 gallon tun. This won’t be a permanent setup but it will work until the new one arrives. 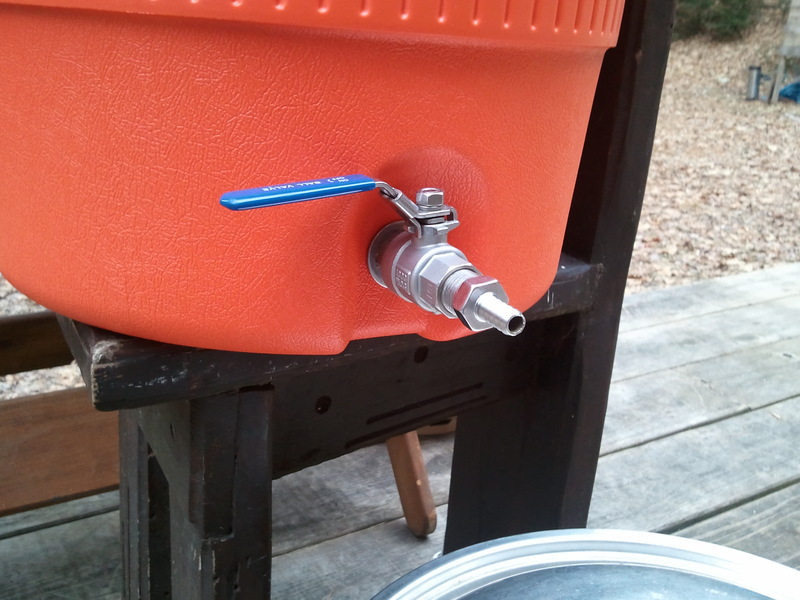 I also swapped the ball lock from the old tun. 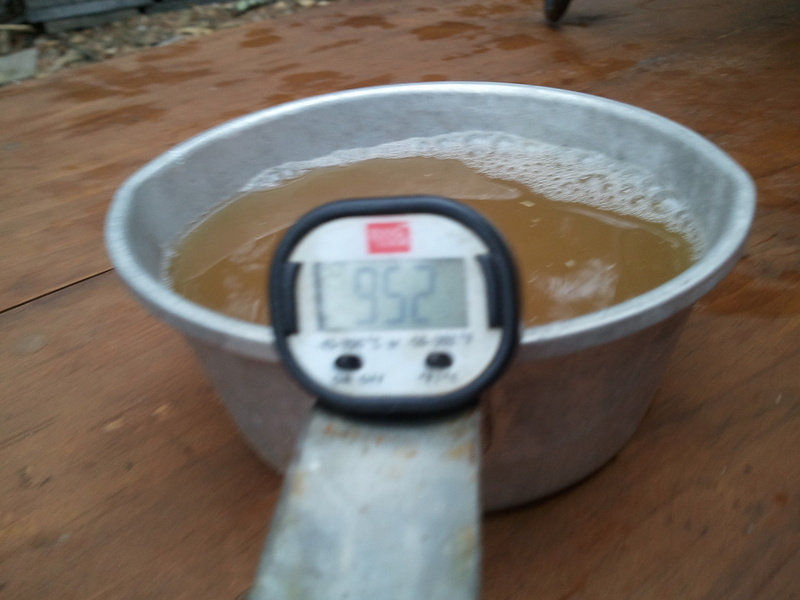 Next we started the strike water with a goal of 185. 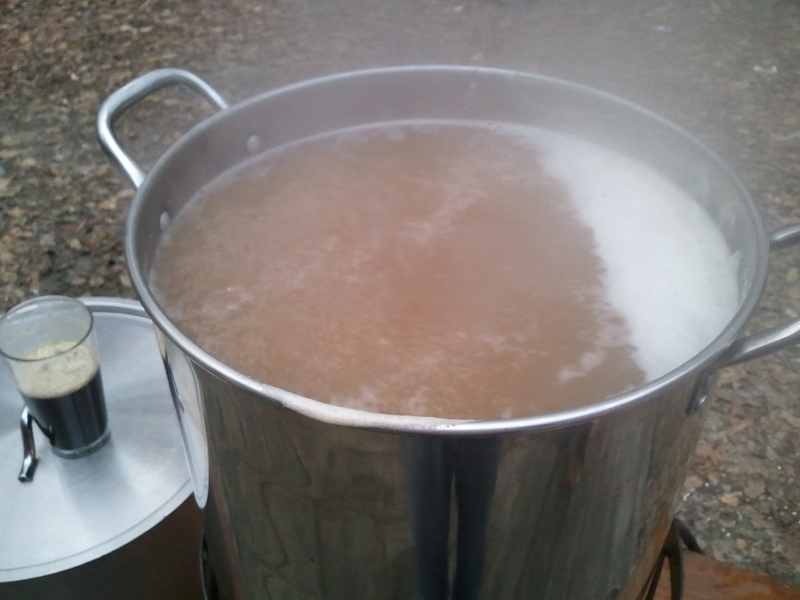 Usually I used 175 but I figured the bigger batch would require more temp for greater volume. wider surface area at the bottom. 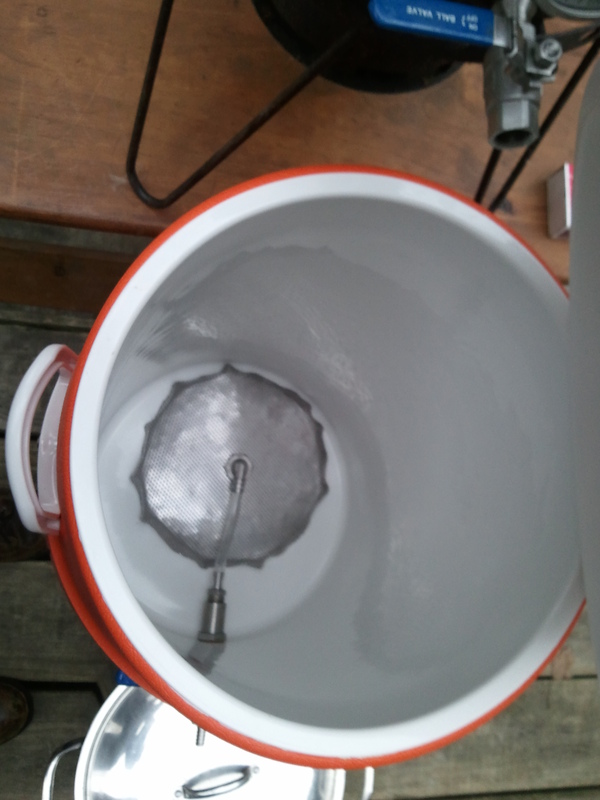 A full size false bottom is obviously going to be needed. 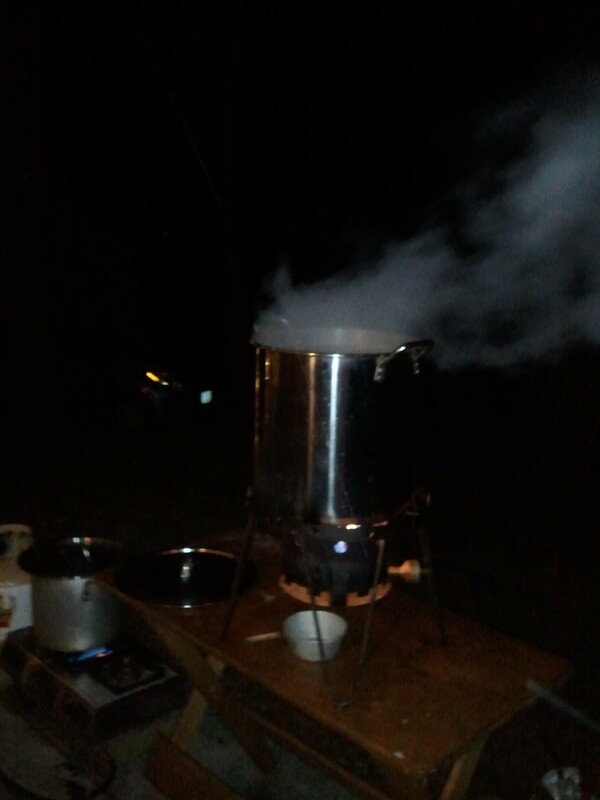 Not bad for 20 lbs of grain. 1/4 of the tun is still empty for water. 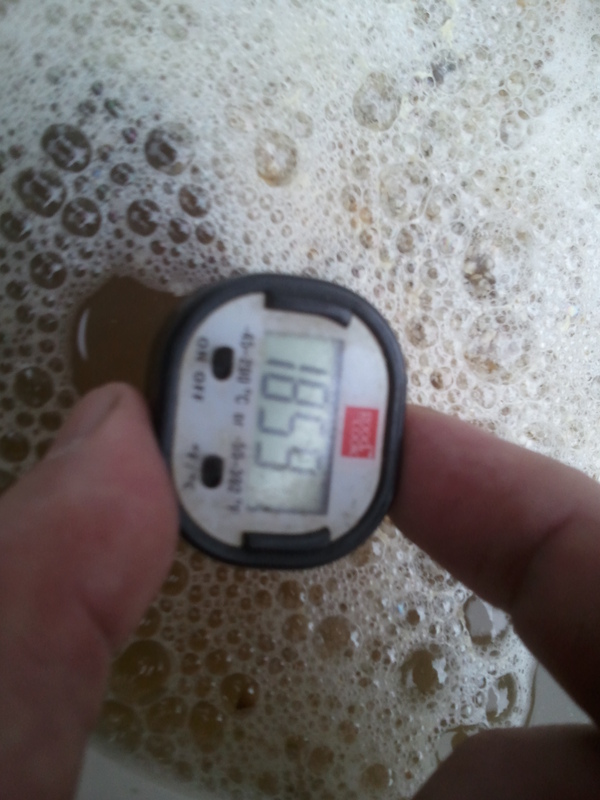 After the water reached 185F I poured it into the barley. I was rather surprised to find the whole 8 gallons fit. The interesting part was the temp. 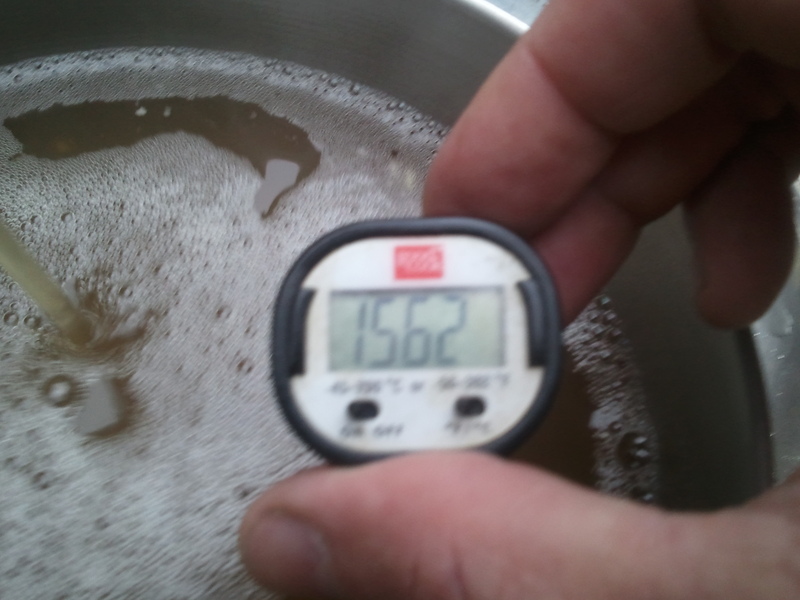 I let the mash convert for 10 min and took a temp reading. 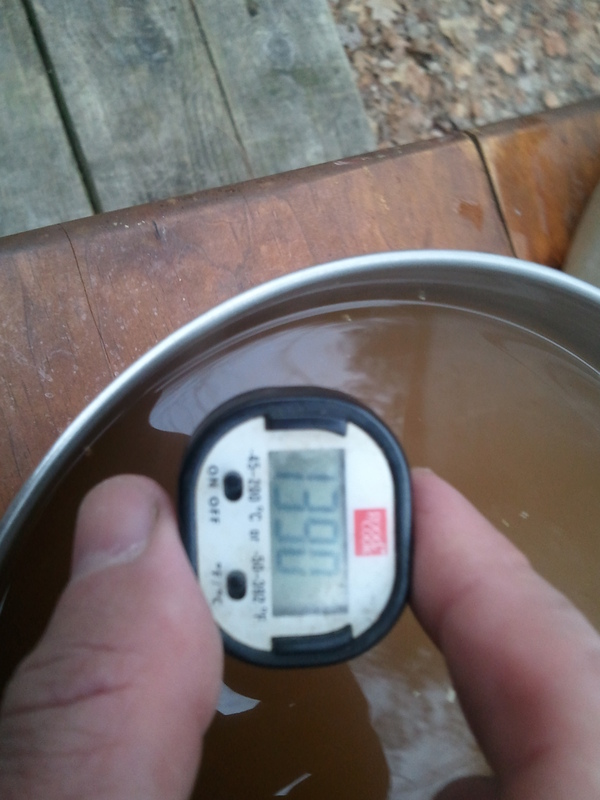 It was low so I did a couple of recycles through so the water temp was more even. 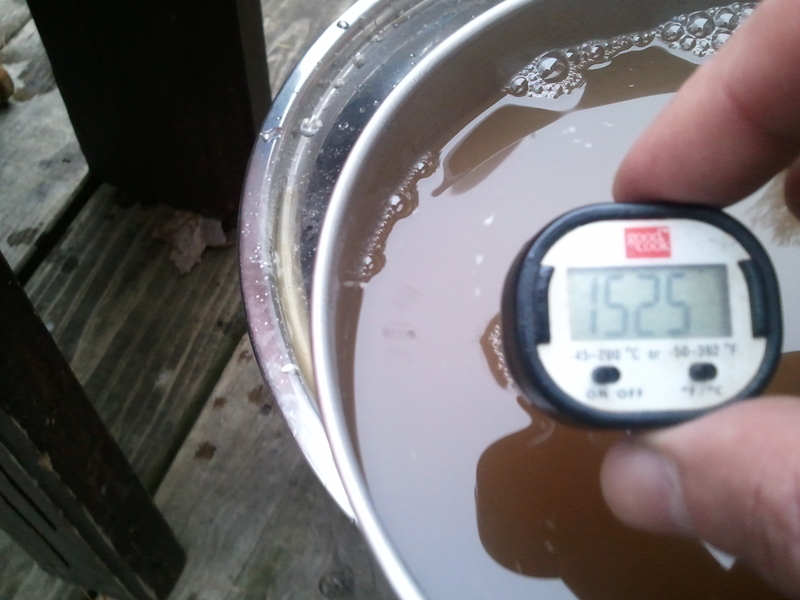 After 5 quarts had been recycled through, the temps finally started showing the range I wanted. 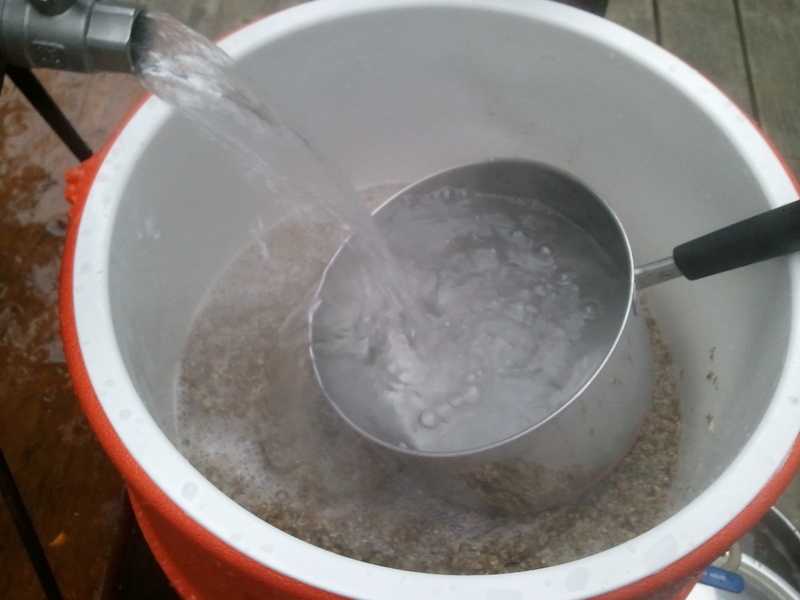 So that may be a regular task in the future.Now we let the mash tun do it’s work. 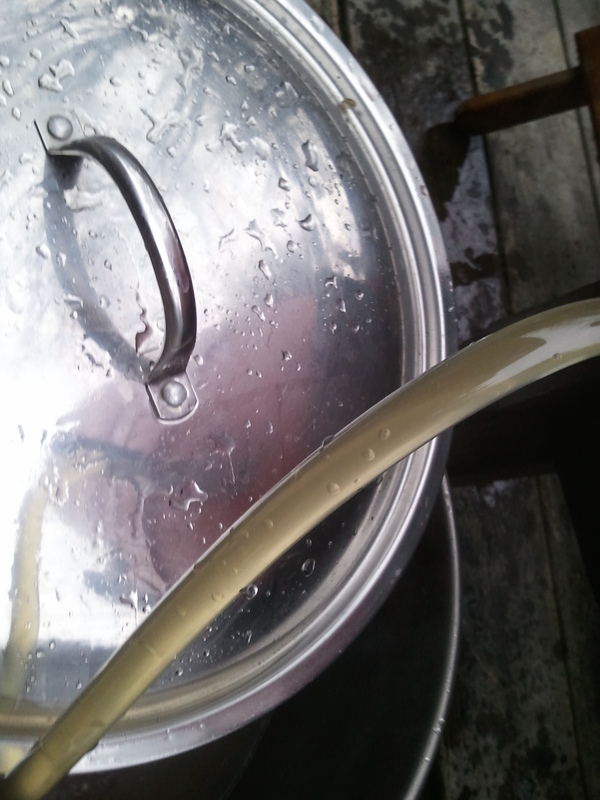 After 1 hr I drew off the wort and noticed that using the old false bottom allowed some of the grains through and at one point we had a stuck mash. It cleared easy enough.though. 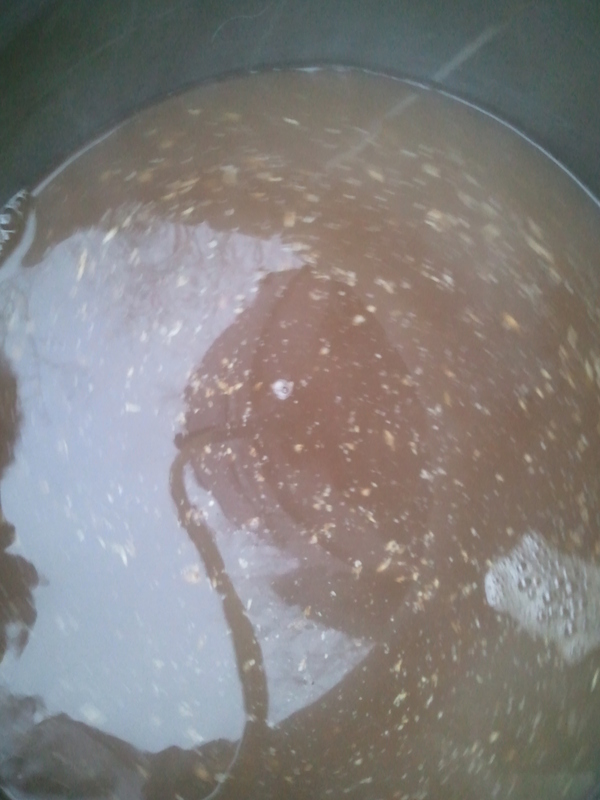 After the final sparge I boiled the wort for 2.5 hrs and at the 60 min and 20 min mark I added the 3oz of hops. 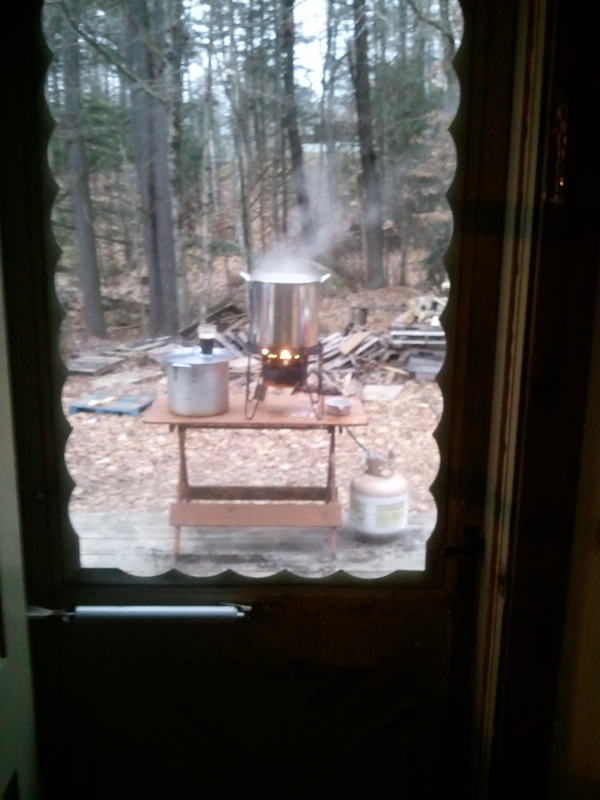 As the temperature dropped I was able to stay inside and watch. It isn’t called Stormfront Barleywine for nothing. Snow starts. 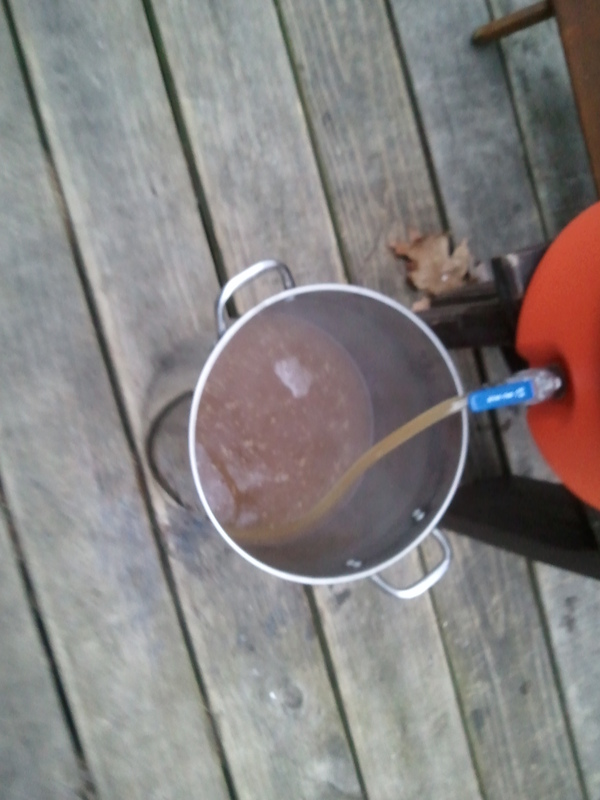 The batch is now cooling and we’ll pitch the yeast tomorrow.